Seasonal allergies are a common problem for many people, and their incidence seems to be increasing year on year. According to the Asthma and Allergy Foundation of America (AAFA) some 20 million American adults and six million children were diagnosed with seasonal allergic rhinitis, also known as “hay fever”, the most common allergic reaction to the seasonal increases in the levels of grass, tree and other plant pollens. 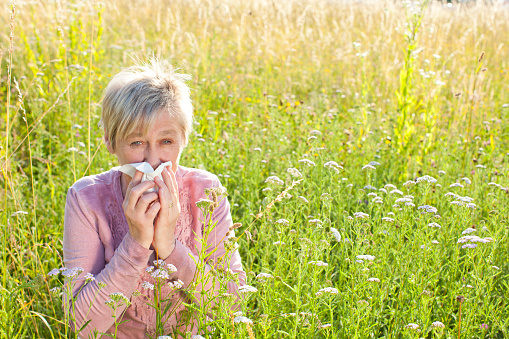 Common hay fever symptoms include sneezing, a runny or congested nose and sinus pain. In susceptible individuals, the allergens responsible may also trigger eye symptoms such as redness, watering or a sensation of itching or burning. The severity of seasonal allergies varies widely between individuals. They can be anything from a minor annoyance to a condition which significantly impacts work, study and general enjoyment of life. Fortunately there are a number of ways to mitigate the problem. We all look forward to spending time outside in spring and summer, but of course there isn’t much you can do to stop plants producing pollen, or to improve the general quality of the air outdoors. Using one of the numerous over the counter remedies available can help; or in more serious cases your doctor may be able to prescribe a stronger medication or anti-allergy shots. But even in summer you will be spending a substantial proportion of your time indoors and it is therefore also very important to allergy-proof your home as far as possible. High-Efficiency Particulate Air (HEPA) filters are a way of trapping and removing from the air tiny particles from such sources as pet fur, smoke and pollen. You can buy stand-alone HEPA filters in various sizes of air-purifier either online or from your local home improvement store. Using a vacuum cleaner fitted with a HEPA filter will also help keep your home free of seasonal allergens and other potential irritants. To get the most benefit from a HEPA purifier you should place it in the room where you spend the most time, which is usually the bedroom. Your bedding is also likely to harbor a rich concentration of pollen, dust mites and other allergens, so it should be kept as clean as possible. This also applies to the carpets, curtains and furnishings in all the rooms of your home. If you suffer from seasonal allergies it’s only commonsense to keep your doors and windows closed as much as possible during the pollen season; and you should ensure that they close as snugly as possible, fitting new seals if necessary. But proper maintenance of your air-conditioning system is also very important. As a minimum you should be changing the filters regularly, but a 6 monthly service is also a good idea. If you’ve taken all these precautions but still find that you or a family member is suffering from allergy symptoms or other respiratory problems while indoors, it may be time to get your home professionally checked out. air fresheners and scented candles. Ensuring that the air in your home is clean and healthy is an essential first step in tackling any respiratory issues and seasonal allergies. At RDS Environmental we have more than 30 years’ experience of testing and protecting both domestic and commercial environments, and we’re available now to help you. For more information on our air quality testing service you can call us on 303.444.5253 or 800-627-2366, or send us a message online here.